After spending the previous 7 years recruiting for the Digital Economy in London, UK I was brought over to Sydney to head up and lead the Advertising Technology and Programmatic recruitment business for the Global leading Digital Recruitment specialist, Salt (http://www.welovesalt.com/). Salt currently have offices in UK/ Europe, New York, Middle East, Malaysia, Hong Kong, Singapore, New Zealand and Australia. Purely focussed on Digital and Technology, we help our global client base to source their next superstars, including juniors, mid-level, Senior Managers, Directors, Heads of, CEO's, MD's etc. within Sales, Marketing, Technology and Creative. In terms of my background; I joined Salt Australia to focus on the Digital Services Economy and Adtech landscape, particularly focusing on mid to senior level appointments within Programmatic, Adtech, Native, Video, Mobile and High Impact Brand advertising. For the past 7 years I have focussed and succeeded in placing commercial, client service, ad operations and marketing based positions, within a client base which includes early stage start-ups, emerging technology businesses, leading digital agencies and their trading desks, top global brands, and some very impressive global digital media and technology businesses within London and the rest of the UK. London was absolutely fantastic. The speed at which the digital and technology industry was advancing on a daily basis was astounding. So many unbelievable businesses doing such great things to make advertising bigger, better, and faster with the end result of the consumers absolutely lapping it up and in turn building a digital economy that was taking over the likes of manufacturing and retail etc. Coming to Australia has been a long time dream come true for the wife and I. Aside from the obvious outdoor lifestyle perks of, the great weather, beautiful beaches, surfing, hiking, and spectacular views which Sydney and its surrounds shows us everyday. 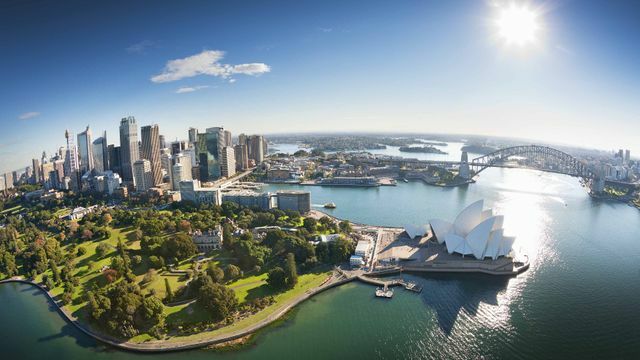 The economy appears to be strong, Australia has a top sporting culture, and Sydney is a buzzing city with good nightlife and great food - the list to could go on and on. Australia and the APAC region is absolutely booming at the moment when it comes to Digital and Technology. Similarly to London, there is a dense concentration of all the top tier 'global' and 'local' players centered in and around the CBD, Surry Hills and North Sydney. From my short time here, they all seem to be doing well growing and scaling their businesses. As an example, one of my key clients, a DSP/ DMP, who have recently received a very tidy Series B round of funding, are pushing the majority of this into expanding and growing their ANZ and APAC footprint - it's incredible. The focus for them used to be on the US and the UK but this has now shifted to APAC due to the overwhelming opportunity which is being seen local to us here in Sydney and in the greater APAC region. The entire ecosystem is here and it's booming! What a great time to be in this remarkable industry, today. The future's looking bright and I am excited to be apart of it. I am looking forward to working with with as many clients as possible to help them grow and scale their business with the best talent that is out there. Conversely, I am also looking forward to working with all the unbelievable talent currently in and forthcoming to Australia's golden shores. What a time to be alive and what a time to be working in the Digital and Technology economy in Australia!